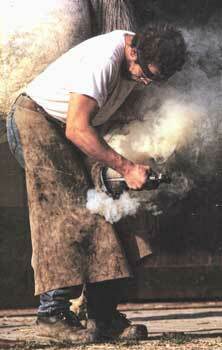 This site created by Hans Castelijns, farrier and D.V.M., is dedicated to farriery and equine podiatry. Hans Castelijns lives in Tuscany - Italy and works as a farrier and veterinarian in different fields of equine podiatry which includes thoroughbreds, standardbreds, Arabians, foals and yearlings at breeding farms, showjumpers, reining horses, and trotters. diagnosis and treatment of lameness particularly as related to the foot. 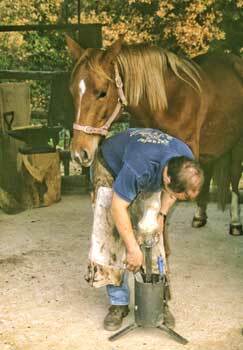 preventive and therapeutic shoeing technique. He formerly wrote a monthly farriery article for the equine publication "Cavallo Magazine", and is a contributor to the The Farriers Journal. Occasionally he works as a consultant for members of the farriery industry. This site contains different sections, which are regularly expanded and updated, plus links to other sites of interest in the field of equine podiatry.